This recipe I got from the amazing Food 52. I had a bunch of basil left over from the delicious eggplant parm and so obviously thought of pesto, but then wanted something a little more veggie-heavy. My friend was coming over and I asked her to bring a green that we could throw in, and she bought kale – hence our recipe choice. 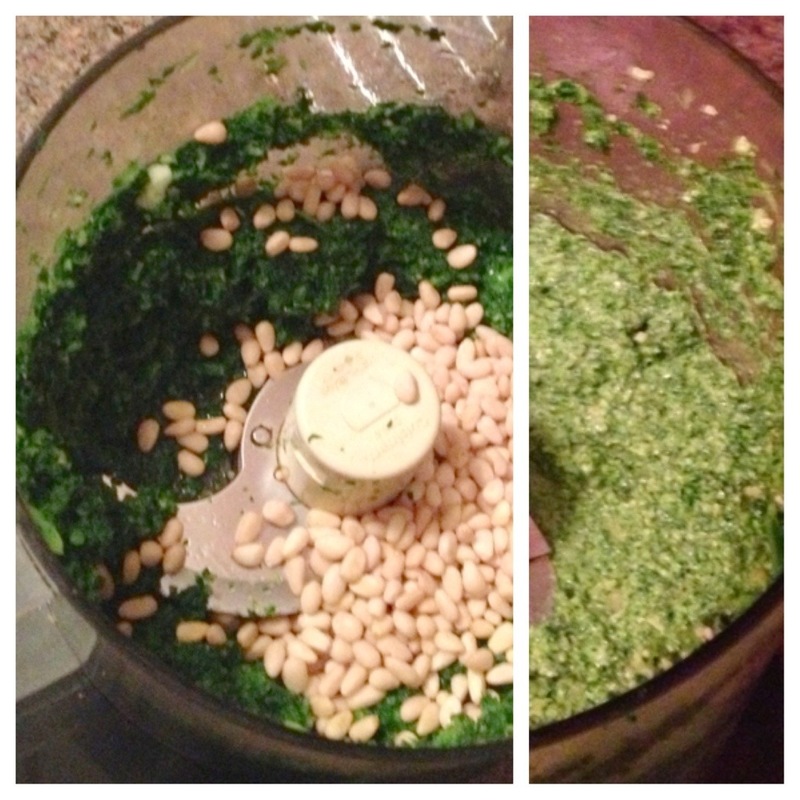 And then we realized that the recipe didn’t call for basil! We put it in anyway, and I think it was a good call because it didn’t really taste like pesto until we did – just a kale blend. 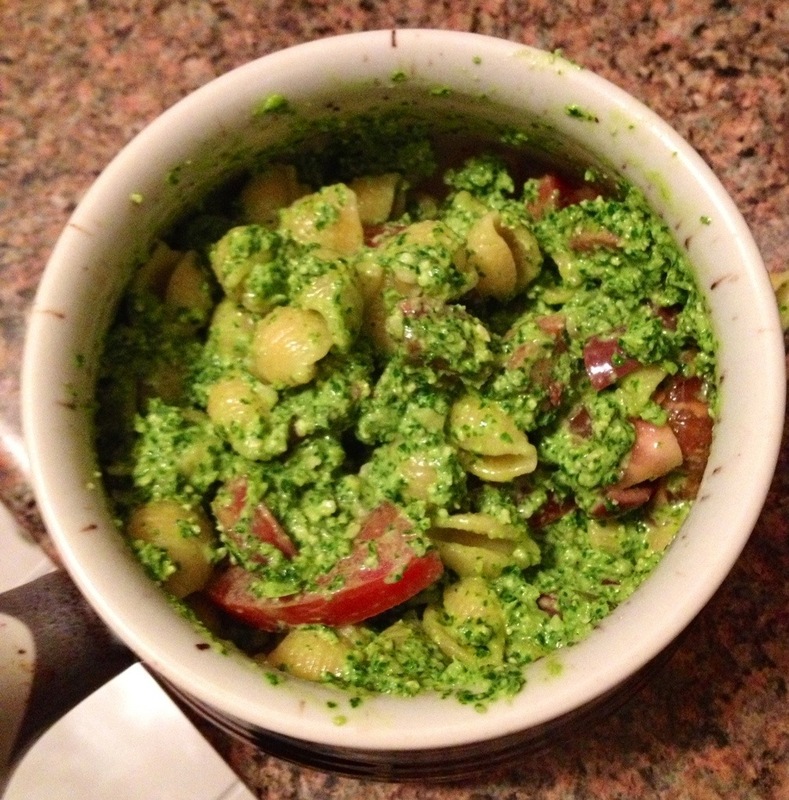 The result was a lighter-tasting pesto that you could eat copious amounts of with delicious quinoa pasta. Side bar: I really still love my immersion blender, but I’ve definitely been using my cuisinart more since finally having space to keep it out! Also because I discovered that I have a flat top for it, instead of using the one with all the moving parts that then have to be meticulously cleaned. Anyway, apparently I was feeling a little guilty about all that so had to come clean.